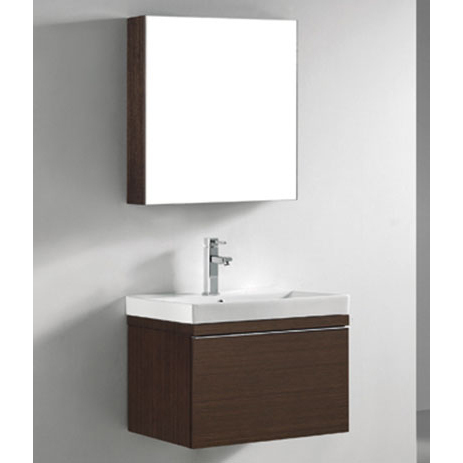 Sleek, modern and sophisticated, the Venasca Collection features a wall hung cabinet in a rich, Walnut or Glossy White finish accented with decorative, polished chrome handles. Basin and countertop options include lustrous White or Biscuit ceramic, Roman Cream stone, six-color glass and Quartzstone. A slight pull on the full length handles reveal spacious, full-extension, storage drawers with soft-closing Blum® hardware. Add to this a luxurious polyurethane-protected finish and you end up with a stylish and functional piece worthy of being the centerpiece of your dream bathroom.